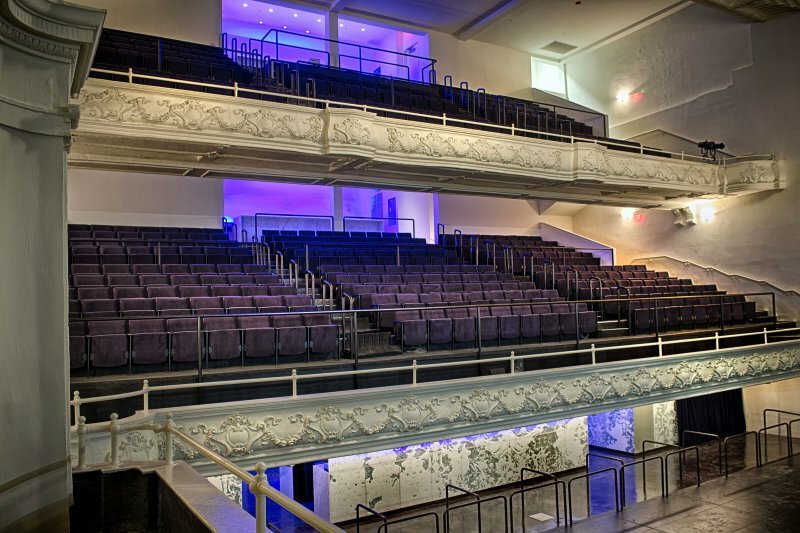 Until recently, this 800-seat theatre venue in downtown New Orleans persisted as a shadow of its colorful days filled with stage performances, music, and vaudeville. Today it finds new life, reborn through a painstaking process of revitalization and restoration. Originally built in 1906 by local architect Sam Stone, the theater was one of New Orleans’s first “fireproof” theaters (built of masonry and steel instead of wood framing). 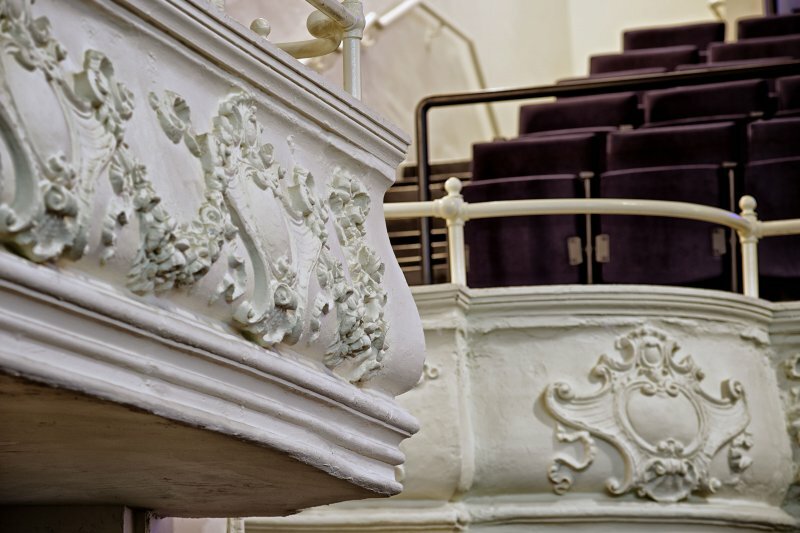 For the original Beaux Arts interior, we stabilized the current condition of the theatre and embraced the beauty found in the imperfect, the incomplete and the impermanent. Existing plaster was retained and repaired, and the entire original interior was provided a soft, matte whitewash to reveal the intricacy of the historic detailing. Added program components were designed to stand in contrast to the original architecture, clearly new and independent by virtue of a more contemporary design aesthetic. Exterior work included a new roof & waterproofing, new HVAC equipment, new signage and lighting, and new box office & entrance canopies. 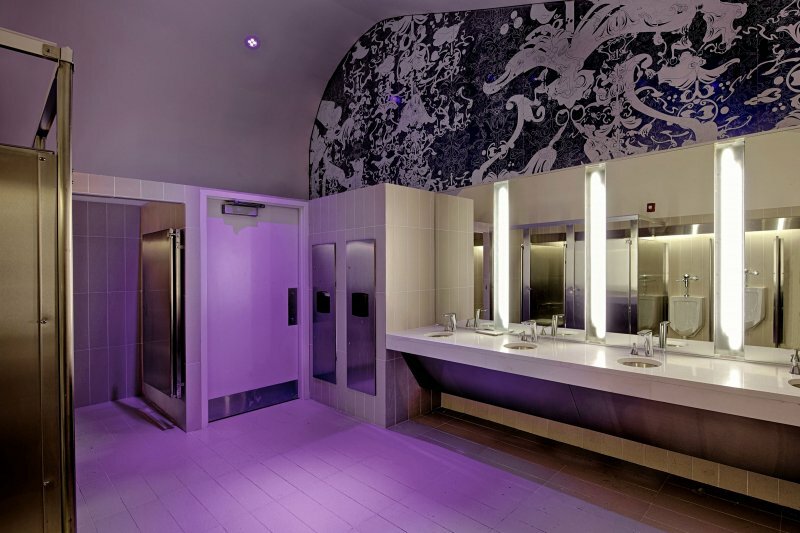 New program elements included multiple bar venues and lobby/waiting areas, along with larger, upgraded restrooms. These spaces are enclosed within a variety of glass surfaces – a mix of clear, frosted and mirrored glass (depending on program requirements) fitted with an ornate, layered pattern inspired by the original plasterwork found throughout the building. 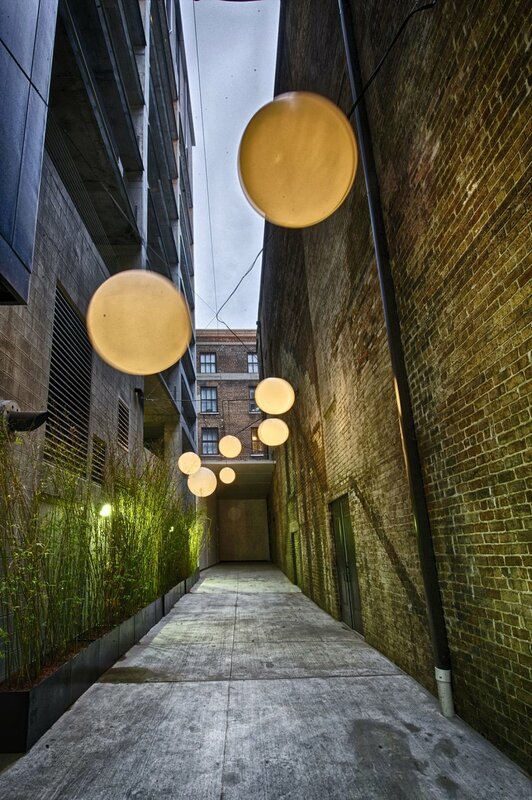 The multivalent textural contrast of these new spaces establishes a romantic, ephemeral aesthetic that transitions the guest into the language of the historically restored performance space. 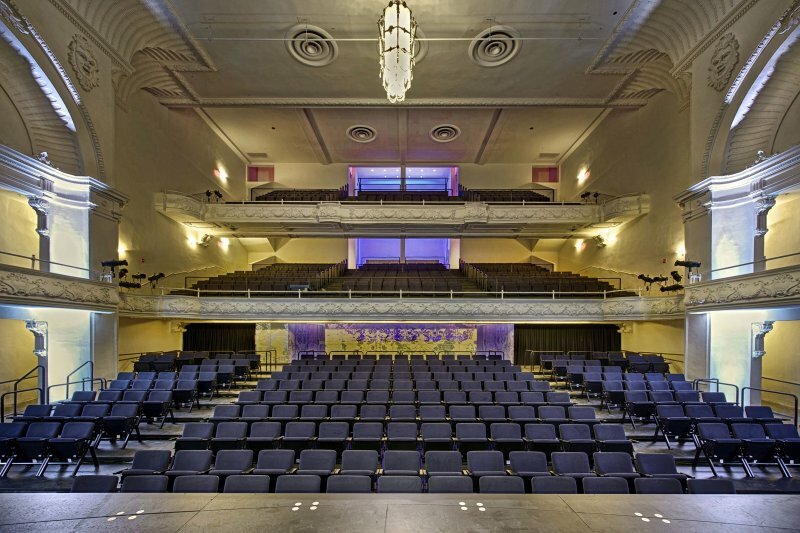 The ground floor is designed to provide a variety of seating configurations, with removable seats and adjustable floor platforms which can be raised or lowered to accommodate various events ranging from concerts and musical performances, to banquets and flat floor corporate events, to traditional theater and dance.